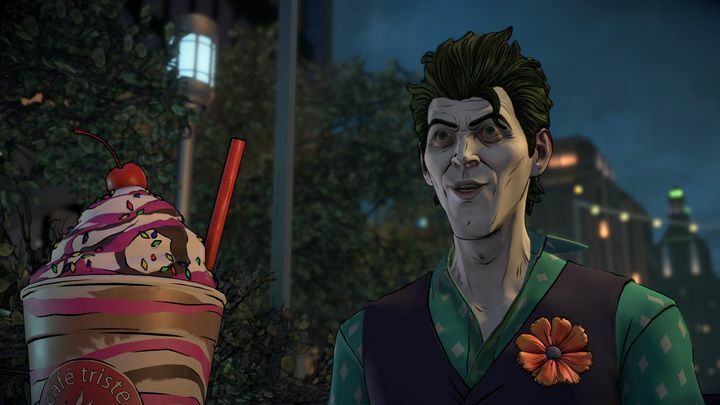 Telltale Games’ episodic adventures have covered everything from The Walking Dead to gaming classics like Monkey Island, and last year’s venture into DC Comics’ territory with an episodic Batman game was well-received by most. So it makes sense that fans of Telltale’s adventure games were happy to hear that the developer would be releasing another episodic adventure starring the Caped Crusader titled Batman: The Enemy Within, the first three episodes of which are already out. But while episodes one and two had their share of thrills, I was left mostly indifferent by this episode, as sadly Episode 3: Fractured Mask is an uneventful middle chapter in this Batman series. Like the earlier two episodes, this mainly focuses on Bruce Wayne, with his masked alter ego Batman being mostly relegated to the sidelines. Batman does show up in some scenes, though, the highlight of which is one in which the masked vigilante gets to meet John Doe for the first time in the series. And like in episode one, John Doe steals the show here. Actually, his edgy and unpredictable nature makes interacting with this proto-Joker a lot of fun, and deciding how far you let him go at certain points (such as allowing him to knock out a detective in one scene or not) is one of this episode’s strong points. 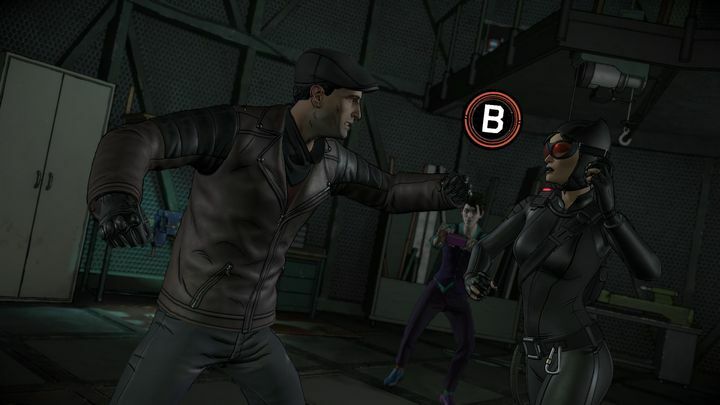 Another key character in this episode no doubt is Selina Kyle, and some of this episode’s key choices involve Selina, such as deciding whether to tip off the police about the woman in black’s whereabouts, or deciding how close you want to be with her when playing as Bruce Wayne (there’s the possibility of romance too…). He’s not the Joker yet, but you get to know more about John Doe’s motivations while playing as Bruce Wayne and Batman in this episode. 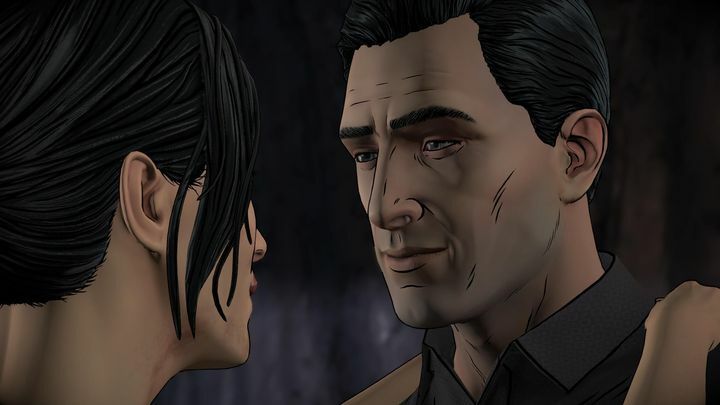 And Bruce Wayne’s relationship with the collection of supervillains known as The Pact continues in this episode, and this clearly is the reason why Telltale choose to focus on Bruce Wayne and less on Batman here as well. Because obviously Bruce Wayne could not infiltrate the criminal underground as Batman, as the Caped Crusader would not stand idly by as the likes of Bane punch a suspected mole to death, or watch Mr. Freeze shatter bodies to pieces after freezing them in ice. But playing as Bruce Wayne, you can cross the line and enter the villains’ amoral world and go along with them in order to discover their plans, something which so far has been a nice touch in Batman: The Enemy Within. It’s a pity, though, that most of the supervillains are not particularly interesting here, and even Harley Quinn lacks the edge she had in episode two. Nonetheless, the artwork and animations are still great, and this no doubt is a great onscreen representation of some of the best-known characters from the DC universe. Other aspects of the game are not so great though, and aside from the fact that there are hardly any major plot developments in this episode (except for the Empire Strikes Back-style cliffhanger at the end) there are some issues with the narrative here. One such case is when Alfred starts communicating with Batman all of a sudden on a rooftop scene halfway into this episode. I had completely forgotten about Bruce’s trusty butler at this point in the episode, and this conversation with Batman seemed to come out of the blue. The game’s QTE fights are fun to watch, but not as interactive as they seem. Also, while the quick time event-based fights look great and are superbly choreographed, I’m still a bit stumped by the lack of control in these sequences, as actions are performed no matter whether I push a button or move the thumbstick in the specified direction. Although at least sometimes I got to make a choice during the fight (such as attacking a character in one way or another), even if this is something that only adds to what is an illusion of control as you’re mostly a passive spectator in these fights. The same is true at some point in the game when you’re prompted to move the controller’s thumbstick or press certain buttons in order to perform an action, such as in one early scene in order to help another character lift a heavy object, for instance. The thing is that these actions are carried out anyway without your input after a brief pause, something which is understandable as this improves the flow of the game, although I still felt cheated that this adventure really isn’t as interactive as it appears to be. This is also the case in conversations, which only give you a limited time to respond after which Bruce Wayne or Batman will just stare at the other character in silence and the conversation will move on. This makes conversations in The Enemy Within feel more natural, although I still wish I had the time I liked to respond in dialogue as was the case in earlier Telltale adventures such as The Walking Dead. There’s also the fact that the game keeps constantly reminding you at certain points that a character will remember what you said, or that your relationship with another character has changed after picking a certain dialogue choice. This is supposed to have consequences later on and alter the flow of the story, but I can’t help but feel that the main story arc is moving in only one direction despite all the choices I’ve been making throughout. 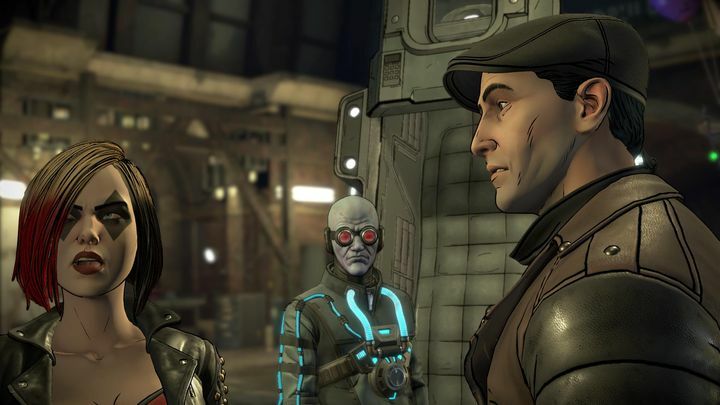 Bruce Wayne’s alliance with the villains of The Pact continues in this episode. But at least it’s fun to decide how much you want to reveal to others about your motivations throughout this episode, lying as you see fit or even telling another character you’re the masked vigilante of Gotham himself at some point if you so choose. Actually, how much you reveal to characters like Tiffany Fox and others like Catwoman or John Doe surely is part of the fun here. Although sadly some major characters from the Batman universe such as Commissioner Gordon don’t feature much in this episode either, and Batman is a secondary player as this is mostly about Bruce Wayne and his attempts to figure out what Harley Quinn and the other supervillains of The Pact are up to, even if the truth is that the story is not as engaging as that of the earlier episodes. And aside from the fact that this episode felt shorter than the others and the lack of interesting plot developments, I also noticed a few performance issues throughout, with the frame rate would dropping quite a bit, even if this only happened rarely during my playthrough. But still, despite this episode not being as interesting as the two that came before it, I’m still looking forward to the following episodes in order to see what’s next for characters like John Doe and the rest of the cast, even if admittedly this middle chapter of Batman: The Enemy Within does fail to impress overall.